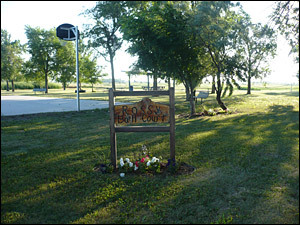 Rossy Park is located next to Letcher Lake (just north of Main Street) and has a volleyball net, basketball court, and horseshoe pit for your enjoyment. 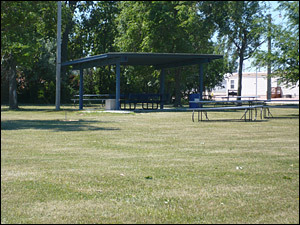 There is lots of shade, plus benches and a picnic shelter. 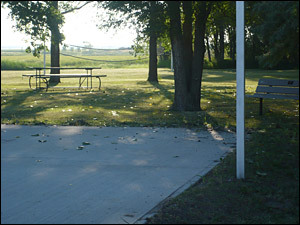 Additions include a grill, fire pit, playground equipment, and new bathrooms in the area in the very near future. 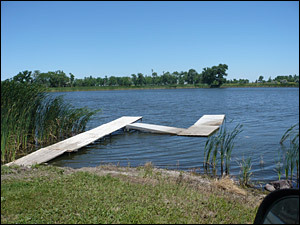 Letcher Lake is just feet away and a great place to put your canoe in. 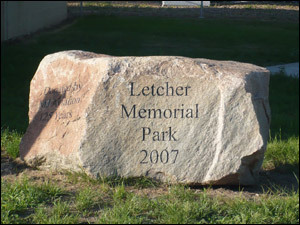 Memorial Park is right next to the library on Main Street and was dedicated during the 125th celebration in 2007. 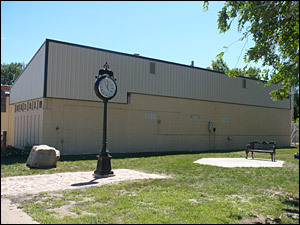 Since its establishment, a clock in memory of Bill Jamison was donated, as well as a park bench in memory of Catherine Rudd. A beautiful brick area has been built at the base of the clock and hopefully someday will expand to a path to the bench area.